Wait, so you are telling me there is another group of ambassadors who walk backwards and give tours around campus?! Kind of — but not quite. The Diversity Ambassadors, otherwise known as the DAs, do much more than just walk around backwards and give tours. I had the privilege to interview Teya Siva, who is one of the four captains of the Diversity Ambassadors. 1) What exactly is a Diversity Ambassador and what do they do? Diversity ambassadors are a combination of the duties of both telecounselors and University Ambassadors, but they also go on high school visits. Additionally, they put on events for prospective students. The mission of all of these duties is to increase the diversity here at The Ohio State University. Diversity Ambassadors provide a wealth of experience and information charged with connecting students and their families to our Buckeye community. They provide support to on- and off-campus events, high school visits and tours. 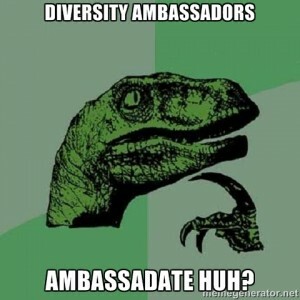 2) Are Diversity Ambassadors affiliated with University Ambassadors? No, not at all. Diversity Ambassadors have their own program. 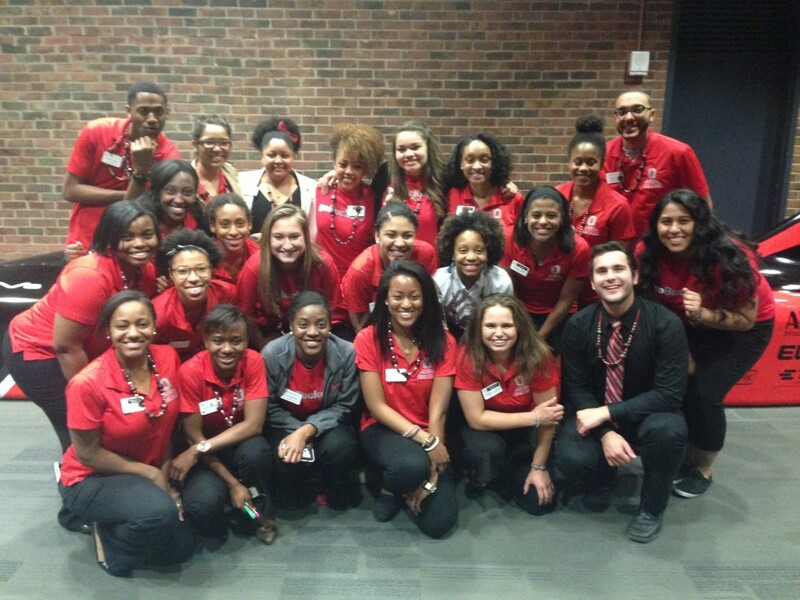 University Ambassadors give tours, while Diversity Ambassadors do that along with the telecounseling, high school visits, and other events that bring to light the importance of diversity here at The Ohio State University that were mentioned above. 3) Do DAs have to be “diverse” or represent a minority to get involved in the program? Nope, not at all. Diversity Ambassadors as a whole represent a wide variety of people from different races, religions, nationalities and cultures. However, they all have one thing in common: they all have the passion for diversity and the program’s mission. 4) How do you get involved to become a Diversity Ambassador? First you must be qualified to become a DA — those requirements include a minimum GPA of a 2.75, completion of at least one semester at The Ohio State University and that you are not graduating in the spring of the year you apply. If you have met all these requirements, then you can apply! Diversity Ambassadors have two hiring seasons, one in the winter to start during the spring semester, and another in the summer for the following autumn semester. The application is not put online, some people are invited to apply through email if an advisor, professor, or current Diversity Ambassador think you are a good fit. However, if you are not invited to apply, no sweat — all you have to do is email Diversity Ambassadors that you are passionate and interested in their mission and they will be more than happy to provide you with an application. The hiring season for the upcoming semester will begin in December so email esue-diversityambassadors@osu.edu to get an application. The application consists of background information, university involvement and 5-8 essay responses (250 words each). After you submit your application, if the DAs are interested in you, they will extend an invitation for an interview, and then they make their final selections. Being a Diversity Ambassador is a huge responsibility to take on, but it is a paid job. During admissions season — so before November 1 — you can expect to put in 5-7 hours per week, and after November 1 it is about 3-5 hours per week. 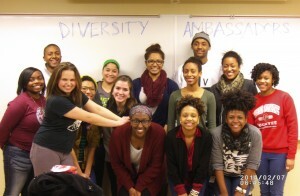 5) What is your favorite thing about Diversity Ambassadors? DA captain Teya Siva said her favorite thing about Diversity Ambassadors is the impact that you can make on a future Buckeye. Dexter Haynes, a DA captain, said one time a student randomly came up to him on campus and told him that he was the reason she chose Ohio State — because of the one-on-one talk that she had with him during her campus visit. It’s those moments that mean the most to him, he said. Teya added that along with the impact that you could have, you also get a lot of professional development from such a huge leadership position. She said she feels more prepared for the “real world” and to take on a real job. She also added that it does not feel like a job and she’d do it even if she weren’t being paid. So what do DAs do again?? They “ambassadate.” Dexter explains ambassadate as a verb, and its definition is “to provide an authentic and honest perspective of The Ohio State University student experience.” Add it to your dictionary because I just did. Now that you are informed on the DAs and are probably on the edge of your seat to apply, thanks to all 45 of the Diversity Ambassadors for all of the hard work they put in to represent our campus well and to show how diverse we are as Buckeyes. Posted in Interview, Resources	Tagged ambassadate, ambassadors, diversity, job, leader, poistion, q&a	Bookmark the permalink.